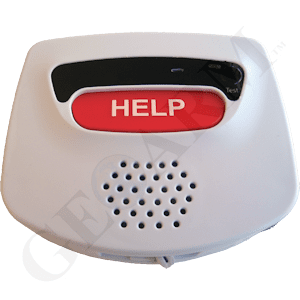 The LogicMark 41920 Emergency Wall Communicator 2.0 is an additional two-way voice communicator that can be permanently mounted in high-risk areas throughout the home for complete coverage. The LogicMark 41920 EWC is compatible with the Caretaker Sentry. The EWC allows the user to call for help, especially when the pendant is not being worn. Nearly 80% of falls occur in the bathroom or bedroom and the EWC is a great safety device to include in those areas in case of an emergency. The EWC is an effective and affordable solution to ensure a safe living environment. The LogicMark 41920 EWC is backed by LogicMark's (1) year limited warranty. GEOARM and LogicMark give you the options you need to live safely and independently.